An initial project was undertaken to assess the potential for enhancing the schedule of ancient monuments for the medieval and early post-medieval periods. The project was undertaken throughout Wales by each of the Welsh Archaeological Trusts, and complimented a wide range of assessments which had already been undertaken for all classes of monument within the Prehistoric and Roman periods. The aim of the project was to use the regional Historic Environment Record to identify and categorise all medieval and post-medieval (up to AD 1750) sites and to assess the potential of the defined categories for enhancing the schedule of sites of national importance. The selection process, therefore, ensured that identified sites would be suitable candidates for scheduling, which meant the final lists excluded certain site types, such as those more suited for protection by Listing, or former sites where no archaeological remains survived. The sites were divided into six categories, defined by Cadw. These were Ecclesiastical; Industrial; Agriculture and subsistence; Transport; Urban; and Military. Only the first four categories were required to be fully assessed for the project. A ‘snapshot’ of the data held within the HER at the Gwynedd Archaeological Trust was filtered to accept all sites of medieval and post-medieval date, and all sites of unknown date. The resulting record was further filtered to remove sites of probable prehistoric date from the ‘unknown’ section. No further filtering was undertaken at this stage, though additional filtering was undertaken when each class of data was examined in greater detail. Some 14,000 records remained, and these were subsequently sorted into the six sections previously agreed. Within each category the resource was examined, and where possible numbers already scheduled and listed were noted. A description of previous work undertaken within each category was compiled, and an assessment of the potential for enhancing the schedule was undertaken. There were 1089 sites within this category. These were sub-divided into a further fourcategories, namely: redundant churches and chapels; monastic sites (excluding granges); crosses and cross-slabs; and holy wells. These sites were sub-divided into extractive industries (metal mines, coal, limestone, granite and mill stone quarries); processing sites; and water- and wind-mill sites. There were 2168 sites identified in this category. The majority related to field systems and field boundaries, though other major components included sheepfolds, rabbit warrens and deer parks. Fish traps were included in this category, as also were sites relating to peat extraction. Kilns were identified as a sub-category that was under-represented in the record. Only four corn drying kilns are recorded on the HER, though this is known to be an under representation, as they have been commonly found on excavations. The earliest examples typically consist of two bowls either conjoined or linked by a flue, one for the fire and one to support a platform for the grain. They date from the late Roman period through to the 18th century, when they were largely superseded by stone built kilns with manufactured kiln tiles. Related to these are kelp kilns and bracken kilns, for the production of sulphur and phosphate, largely used in glass-making. Three kilns are recorded, though again this is likely to be an under representation. None are scheduled or listed. No peat extraction or processing sites are listed or scheduled, though these are difficult to date from surface remains alone. This group included all rural settlements, houses and related structures. This was a large class, and difficult to classify, but also included all deserted rural settlements. It was recognised that the Deserted Rural Settlement assessment had resulted in the scheduling of a representative sample of deserted settlements. However the project concentrated upon building remains, and focused less on the adjoining field systems, sheep folds and associated structures. The aim of this project was to examine the resource as held by the Historic Environment Record of all ecclesiastical sites of medieval and post-medieval date (up to 1750). The resource was sub-divided into four categories: Medieval Stone Carving; Holy Wells; Deserted Medieval Chapels; and Monastic Precincts. 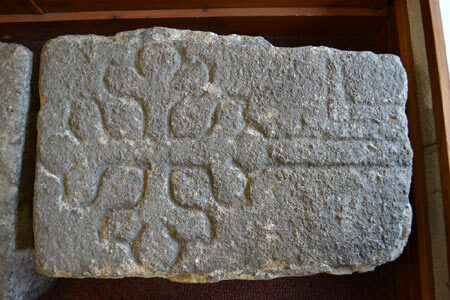 This part of the project assessed the carved stone sepulchral monuments consistingof grave slabs, effitgies and crosses. No certain examples of secular crosses (e.g. market crosses) were identified, though they are known to have existed. Seventy four stones were identified, of which the whereabouts of nine was unknown, eight were already scheduled and three were listed. Forty two of the remainder were located in churches. Seven slabs were located in Friar’s School, Bangor. A holy well is defined as a well associated with Christian worship, though their origins may well lie within prehistoric times. They are notoriously difficult to date, and the majority of dateable surviving remains belong to the post-medieval period, despite probable origins in an earlier period. The project examined 51 wells out of an initial total of 215. All are defined as ‘surface wells’, that is gaining their water from a spring and not by digging deeper into rock. 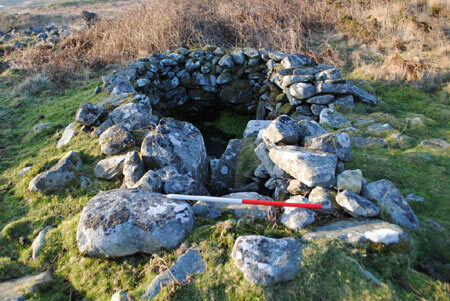 The wells were further sub-divided into small pools and large (immersion) pools. Of the former almost half were simple natural hollows, and the remainder were constrained by stone walling. A very small number were covered by a slab. The larger pools were all constrained by stone walls, though some were deteriorating badly, and visible only as an earthwork. A number of the wells had been rebuilt for use as a modern water supply. This part of the project examined all known medieval church and chapel sites which were no longer owned by the Church in Wales. Sites were sub-divided into: parish churches; capeli y bedd; Llys/Maerdref associations; Chapels of ease; Chapels associated with former ‘clas’ churches; chapels in medieval boroughs; chantry chapels; well chapels and monastic chapels. The concept of lesser churches dependant upon a superior ‘mother’ church is an early one, and this may be the origin of some of the chapels. However ecclesiastical reforms resulting in the development of the parish system in the 12th century witnessed a change of status, and many former chapels became parish churches, though a distinct hierarchy is still evident as late as the 18th century. A number of sites, identified by the name ‘capel’ were found to be early medieval cemeteries, with no evidence for the presence of a medieval building. This part of the project examined the major monastic sites and friaries. These consisted of three Augustinian foundations at Penmon, Enlli and Beddgelert; three Cistercian monasteries at Conwy, Maenan and Cymmer; and two friaries at Bangor and Llanfaes. 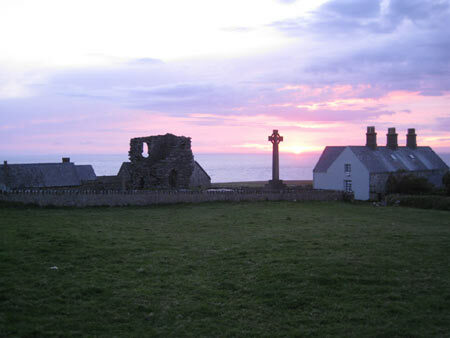 All three Augustinian foundations were associated with either a former native Welsh ‘clas’ church or a monastic settlement associated with the ascetic movement of ‘celi du’ (often referred to as ‘culdees’) from Ireland. The Cistercian monastery at Conwy was moved in 1283 to Maenan. There are few upstanding remains at either site, though excavations currently being undertaken at Maenan have revealed more of the conventual buildings. Cymmer retains the best upstanding evidence, though here there is some doubt as to the original layout of or intention for the east end of the church. 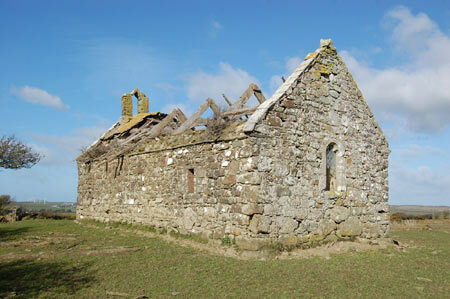 There are no upstanding remains at either of the friary sites, though their location is known from buried remains.